This Site uses AUD. Dispatch in 48 hours. Delivery in 1 week*! *On average for Australia, Ireland, UK, US. Click here for details: "Shipping Policy"
One-year online access now includes over 300 educational videos. 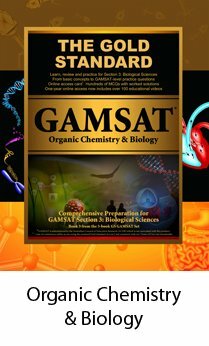 Dr. Ferdinand uses a problem based learning approach to teach all the most frequently tested GAMSAT topics in biology, physics, general and organic chemistry. 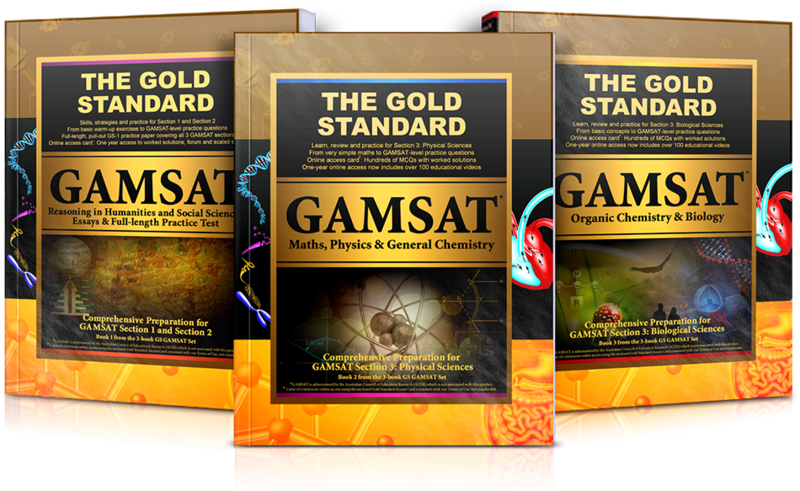 In this course, students sit a full length practice exam (Gold Standard GS-5 test) on the first day; the second day is for review and problem solving analysis with Dr. Ferdinand. We have 5 full length online practice tests and we have an Essay Correction Service. Practice tests can be purchased as a group or separately. You can repeat any exam section as often as you want during your access period. You can also cross-out or highlight on your computer screen. All exam attempts are saved with full explanations to help your review. 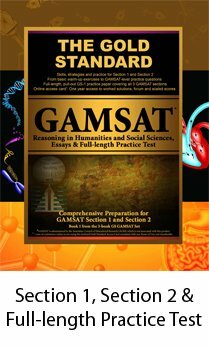 • Individual Exams Purchase: Each exam is $70; 6 months access. Home Study Course ($599) with Section 1: tips/strategies + over 20 mini-tests ($349) + Section 2: 8 of your essays corrected ($199) + Section 3: 70+ hours of online videos + 2 more Gold Standard (GS-5 and GS-6) full-length practice tests with worked solutions ($140) + our new bonus: 5 full-length GAMSAT practice papers by PrepGenie for a total of 10 full-length GAMSAT practice tests + the abbreviated exam GS-Free. Online access begins instantly after payment and continues until the next sitting of the March GAMSAT or 6 months from your purchase date, whichever is longer. Postage is free to Australia, Ireland and the UK. Dispatch within 48 hours. Free bonus: Gold Standard Medical School Interview online video (see below for a video clip from YouTube). 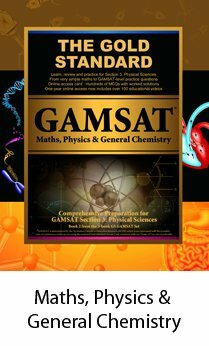 Get ALL of the features described above PLUS live interactive seminars with a GAMSAT expert for a total of over 5000 GAMSAT practice questions with helpful worked solutions! Shipping is fast and free to Australia, Ireland, the UK and the US. Any package over $500 includes the following bonuses: Medical School Interview online video and small group teaching session either online or in class (Brisbane • Sydney • Melbourne • Adelaide • Perth • Dublin). You can see clips of your free Medical School Interview video below. The ADD TO CART button(s) above permit you to pay using any major credit card, echeck from a bank account or payment from your Paypal account. Paypal also offers payment plans. If you do not wish to use Paypal as a 3rd party processor of your payment, you have other options: if you wish to pay by phone, money order or certified cheque then click here: contact us. To pay securely with any major credit card from any country (without Paypal), please click here: secure credit card payments. Simply enter the total price and item(s) description. Item ID and Client ID numbers are not necessary.